Great location. Right next to the Ala Moana Shopping Center, close to the Convention Center, beach and restaurants. 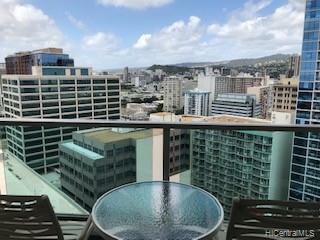 Unit is in the hotel pool in the Waikiki Tower and fully furnished. Amenities include gym, outdoor pool, onsite restaurants, shops, meeting rooms, laundry facilities and Starbucks in the main lobby. A popular hotel with locals and visitors. Includes a lanai to sit outdoors and enjoy the city and mountain views. Paid parking available in garage.